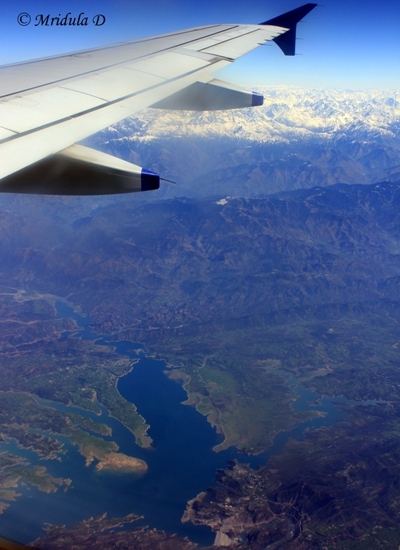 Last Sunday (10/03/2013) I flew out of Srinagar Airport with the first flight out of the town. 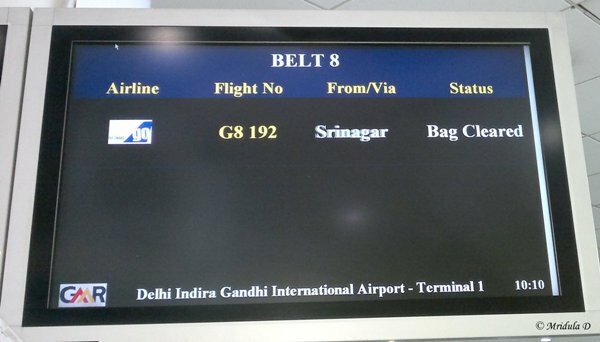 It is currently operated by GoAir and leaves Srinagar at 8.35 am. 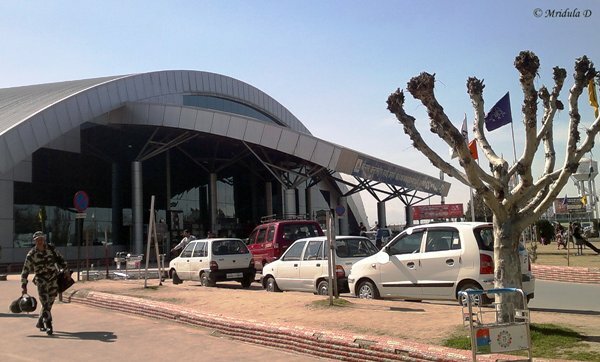 We had a very early start from Gulmarg and we reached the Srinagar (SXR) airport before it opened. Yes the Srinagar Airport shuts down and it completely barricaded at night. There were 3 taxis out of our hotel and a few others were parked as well, waiting for the airport to open. Before I go into the security at Srinagar Airport let me add that the landing and the take off from the airport is spectacular. So do grab a window seat for your flight. And now back to the security procedures at the Srinagar Airport. The first sign of activity around the airport was by sniffer dogs! Then the gates opened only make an entry for an armoured vehicle. Then came a bus full of airport employees and that too was allowed to pass. Then they dragged some barbed wire to create a block. And after all this was over they allowed the private vehicles to move in. The First Security Check: The first security check was right at the entry at least 2 km before the main airport building. All of us and our luggage got down. The luggage went through scan, we were searched by women security personnel on duty and the vehicles were checked for explosives. Then the luggage was reloaded, we got into the vehicle and we were dropped at the airport gate. The Airport Security Check: Next was the normal airport security check at Srinagar where we deposited the check-in luggage and proceeded through security for hand luggage and self. The Laptop and Electronic Items Check: Next came a separate check where they would ask you to empty your handbag and take out your laptops and all other electronic items. I was quite daunted at emptying out my handbag as it is usually so full of bits of paper! But I somehow managed to do it. I had a SLR and two separate lens. Surprisingly the security personnel did not ask me to switch on my camera though along with everyone else, I was asked to switch on the laptop. One member of our party was sent back to check-in his bag because he was carrying a lot of clothes in it. Don’t ask me why. The Personal Identification of the Check-in Luggage: After this we were asked to identify our check-in luggage once again. If we failed to do it, the luggage would not make it to the plane. The Security Check before Boarding the Aircraft: This was the final check we faced, similar to the frisking that is done at the normal security check in an airport. 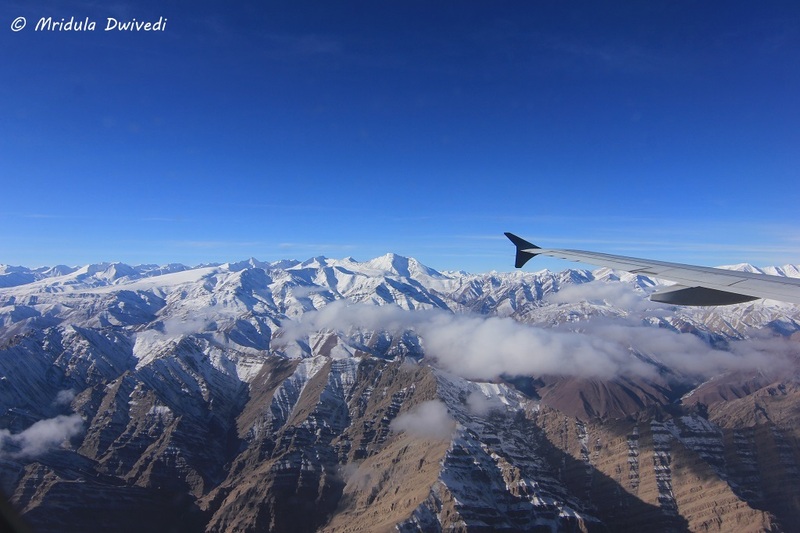 A frequent flyer out of Srinagar told us that in the past there used to be a check by the aircraft ladder as well. It was not in place when we boarded this flight. 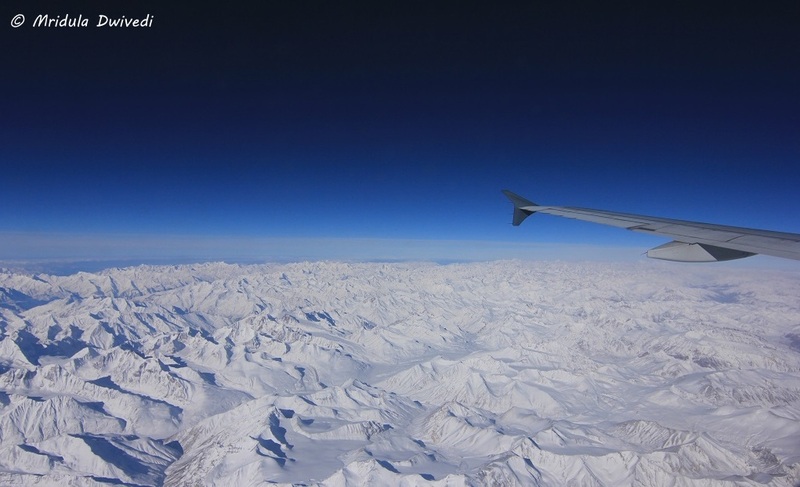 There are flights to Srinagar by SpiceJet, IndiGo and a few other airlines in India. And just in case if you thought this was a rant it is certainly not. 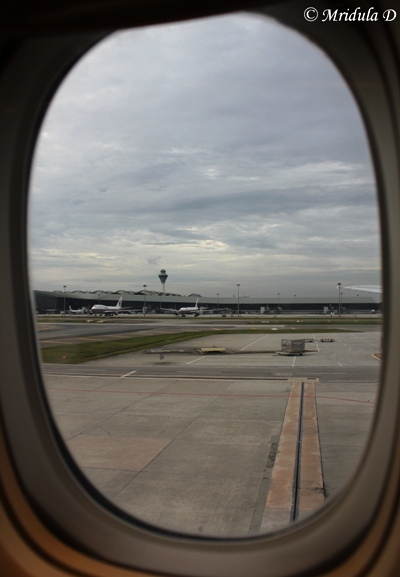 This is a thank you post to various security agencies for keeping me and the flight safe! I will end this post on a note of caution. While the recent attack on the CRPF camp had not happened when I traveled I would still have added this caution. Kashmir is a very beautiful place and no wonder we want to visit it. But the ground conditions have to be checked before venturing there. And if your hotel asks you to postpone the trip, do just that. They have your best interest in mind. Having said that, as a traveler how I would like the valley to find peace. In the current conflict humanity is the biggest loser.